We’re into the final days of summer, but we’re not letting the season go without a big last hurrah — Labor Day. From a long-weekend road trip to a backyard cookout, there are many excellent ways to say farewell, and we’ve got a recipe that’s going to make the transition into fall so much more enjoyable. 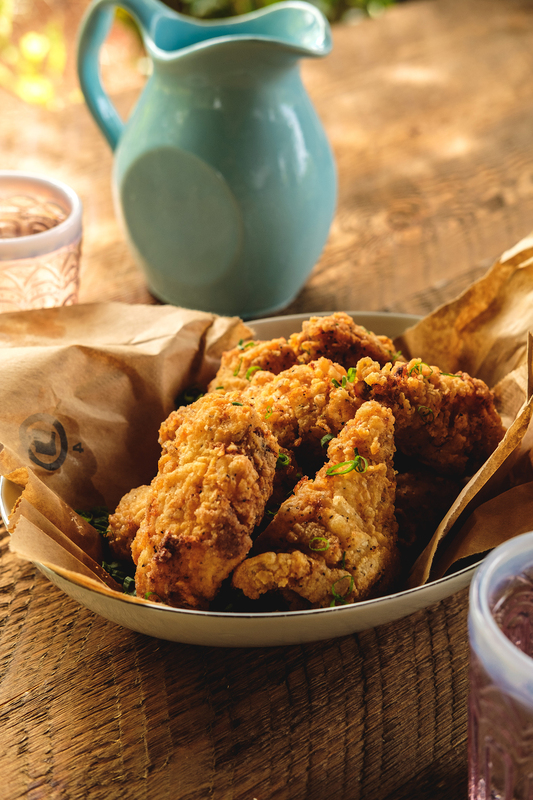 These spicy buttermilk fried chicken wings are easy to make and a total hit at an end-of-summer party. 1. Mix the buttermilk, hot sauce, and crushed garlic in a large bowl. 3. Cover and let marinate for at least six hours in the refrigerator. 4. Season flour with cornstarch, salt, pepper, and paprika. 5. Dredge the chicken wings in the flour mixture, making sure to shake off excess. 6. Let rest at least five minutes. 7. Fill a large cast iron skillet about halfway with peanut oil and heat to 350°F. 8. Add the chicken wings. At first, the temperature will drop a bit — try to maintain a temperature between 300-325°F degrees while frying. 9. 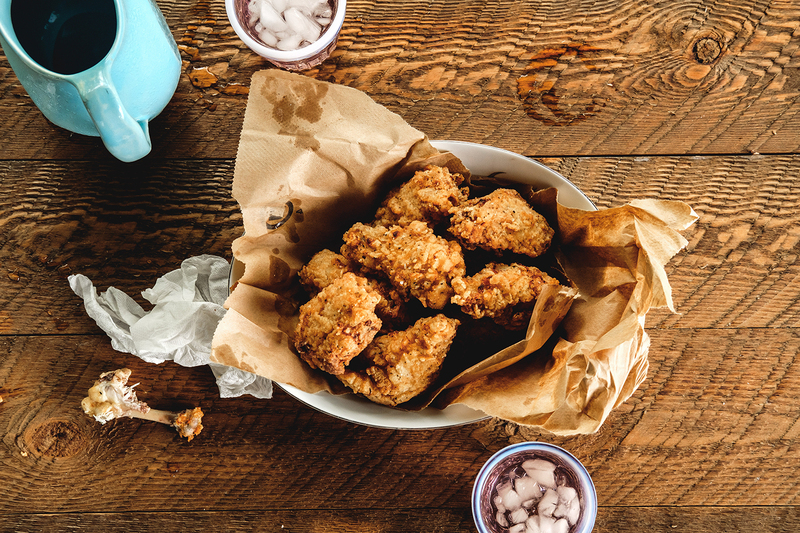 Fry the wings in batches of 5-7 until golden brown and crispy. This helps to maintain the oil at an even temperature, minimizing splatters and messy clean-up. When the chicken wings start to float a bit, you know they’re ready. 10. Transfer chicken wings to a wire rack with a sheet tray underneath or place on a brown paper bag to absorb excess oil.